The Committee of Ministers Deputies’ of the Council of Europe held its 1227th meeting on 12th of May 2015. Within the frames of the agenda item “the Council of Europe and the Conflict in Georgia” the Committee discussed and adopted the relevant decision by vote. The abovementioned decision recalled the decision of the Committee of Ministers’ Deputies of 29 April, 2014 reiterating unequivocal support of the Council of Europe member States for the sovereignty and territorial integrity of Georgia within its internationally recognised borders. The decision stated that the so called “treaties” between the Russian Federation and the Georgian regions of Abkhazia and South Ossetia are detrimental to the on-going efforts to strengthen security and stability in the region, clearly violate Georgia's sovereignty and territorial integrity and have no legal validity; they contradict principles of international law and the Russian Federation’s international commitments, including under the 12 August 2008 Ceasefire Agreement and its Implementing Measures of 8 September 2008. It should be noted that for the first time such assessment of the so-called "treaties" has been given in the decision of an international organisation. 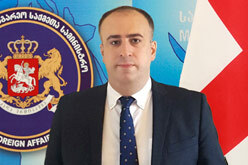 In the document the Committee of Ministers Deputies’ expressed serious concern at the continued installation of barbwire fences and other artificial obstacles by the Russian Federation violating, inter alia, human rights and fundamental freedoms including the right to free movement, right to property, the right to family life and the right to education in the native language of those residing within the Georgian regions of Abkhazia and South Ossetia and in the adjacent areas. The decision underlined the importance of the Council of Europe monitoring bodies making further efforts to gain access to the Georgian regions of Abkhazia and South Ossetia and welcomed the intention of the Commissioner for Human Rights of the Council of Europe to visit by the end of the year the Georgian region of Abkhazia and administrative boundary line adjacent to the Georgian region of South Ossetia to monitor the human rights situation in the areas affected by the conflict. In the decision the Committee of Ministers Deputies’ called on the Russian Federation to facilitate and grant unrestricted access to the Council of Europe bodies to the areas affected by the conflict in Georgia. It is noteworthy that for the first time the decision of the international organization calls on the Russian Federation to give unhindered access to the occupied territories to monitor the human rights situation on the ground.